I am positively over the moon right now & I just have to gush! 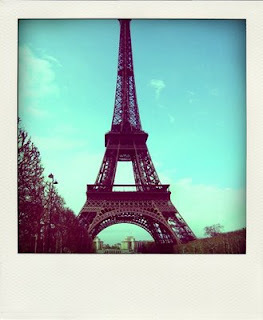 Kitschy Galore just scored her first wholesale account & in all places, the fashion capital of the world... Paris, France! 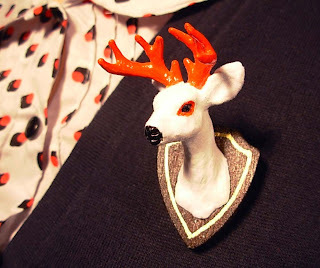 Buck Yourself Brooches can now be purchased at Les Fleurs Boutique in Gay Paree! Pop by if you're in the neighborhood! 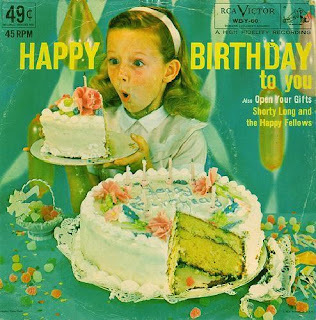 It's my 29th birthday today & I want you to come join the party! From today until Jan 29th EVERYTHING in Kitschy Galore is 29% OFF! Last Friday, I had the pleasure of attending the Providence screening of Handmade Nation at Craftland. In case you didn't know, Handmade Nation is a documentary about the rise of the D.I.Y. art, craft & design movement... & it is brilliant! The movie was directed by the phenomenally multi talented Faythe Levine. Levine traveled more than 19,000 miles around the country to interview some of the most fascinating people who make up this creative community. And that's what I enjoyed most about this film... It gave me a real sense of community... of being a part of something that actually means something... and how big that something really is. 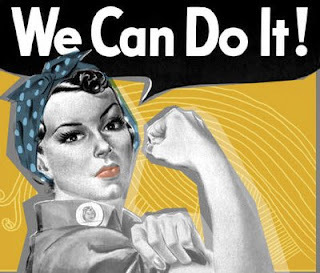 Right now, at this very moment, people all across the country are redefining craft-making for the 21st century. Quilts are cutting-edge outlets for self-expression & samplers carry messages of anti-consumerism, environmentalism & feminism. Their work is not just beautiful: it's hip, it's political and it's a little punk rock. We all know we are living in tough economic times right now. Jobs are scarce & virtually everything we touch is made in some sweatshop in China. We are also well aware of the fact that this here planet which we all call home is changing rapidly due to global warming... A situation we created & only we can change. Buying local not only helps boost your local economy, it also reduces your carbon footprint. I know it's not always easy to do... your buck does stretch further at those big conglomerate super stores, but really in the long run you're not saving all that much. Just think, every time you buy something handmade (be it a one of a kind gift for someone's birthday on Etsy, or fresh picked veggies for supper at the farmer's market down the street) you're helping save EVERYONE (locally & globally) & THAT is awesome! Like little David did, together we can take down the corporate Goliaths who got us all into this mess in the first place. 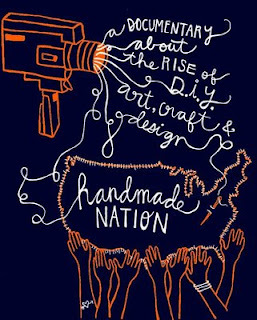 If you're also interested in the new wave of art & craft & would like to see this film, stop by the Handmade Nation Blog for listings of show-times in your area. If you'd like to own a copy of Handmade Nation on DVD or the companion book by the same name, you can do so by visiting Buy Olympia. Things are looking up up up! This morning I discovered a sudden flurry of activity in my shop, which took place just last night. To what do I owe this pleasure?... It seems last night (while I was battling zombies & Hellcat) this little sparkler rocked the front page of Etsy! You might ask me why I am up at this ungodly hour. I should be snuggled all warm in my bed on such a cold winter's morning... But I'm not... Because MY CAT IS RUINING MY LIFE!! Every night whilst I slumber, wee little Ouija creeps into our bedroom. His first course of action is to go straight to the bottom of our bed, slip silently under the blankets & bite my toes. My immediate response to this (as would be anyones of course) is to grab my gun & just start shooting. (I have to sleep with a water-pistol on my bed stand.) Once I have awoken enough to realize that no, my attacker is not the flesh eating zombies of my nightmare world, but indeed my real life cat who is chomping away at me bit by bit... I quickly tuck my feet up under my blankets & attempt to fall back to sleep. But just as I start to nod, there is a loud CRASH & now Ouija is on top of my dresser, knocking down knick-knacks & perfume bottles. I once again get my gun & take aim on the little SOB. He then runs, scattering the rest of the things from the top of my dresser to the floor. I then pull the blankets over my head & close my eyes tightly. 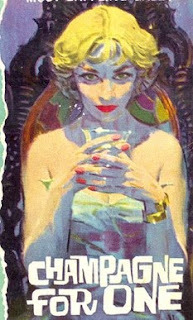 And as I slowly relax, thinking all is not lost & a snooze might still be within my grasp, Ouija starts his trilling. It's this sound he makes, that is high pitched & loud & I can't entirely describe it as a meow. However it is effective, because now I know that Ouija has won. Now I know that sleep will not come. I throw the blankets off me & as I stumble bitterly across the dark room, Ouija is at my feet, weaving in & out & around my legs, purring. I wonder to myself, is he in fact trying to make me trip, hoping that perhaps I might fall & break my neck? He does this every night! What is this perverse ritual of his? And why me? The only way that I know of to write a blog that will be of any interest to anyone, is to stay true to myself. And in order to do so, I will have to step out from behind the name Kitschy Galore. Soo without further adieu allow me to introduce myself. My name is Tyna & I am Kitschy Galore. Or at least I am sometimes. Kitschy Galore is my alter ego. My more fabulous self. She's the Jem to my Jerrica Benton, the She-Ra to my Princess Adora, the Wonder Woman to my Diana Prince... Anyway you get the idea... Well that is you do, if you were a kid growing up in the 80's. Kitschy Galore is a free spirited society girl who leads a fascinatingly glamourous & sometime scandalous lifestyle. She's an artist who lives alone in a small flat in the city. Most nights you will find her at exclusive parties, rubbing elbows with the jet set elite. She likes to stun people with carefully selected titbits from her personal life or her outspoken viewpoints on various topics. Oh & she travels by Vespa. doing that, he's scheming up ways to kill Rico. he is gonna be famous. So now you can see where the two lines meet & sometimes blend. Kitschy Galore is basically just like me. In general we like all the same things & we kinda look the same... Only she is slightly less inhibited than myself... Always dressed to the teeth... & skinnier than me... Other than that, you could never tell the two of us apart. And that's the rundown, kids. I promise, in the future I will do my best not to bore your pants off. [ ] Make Kitschy Galore all it can be!